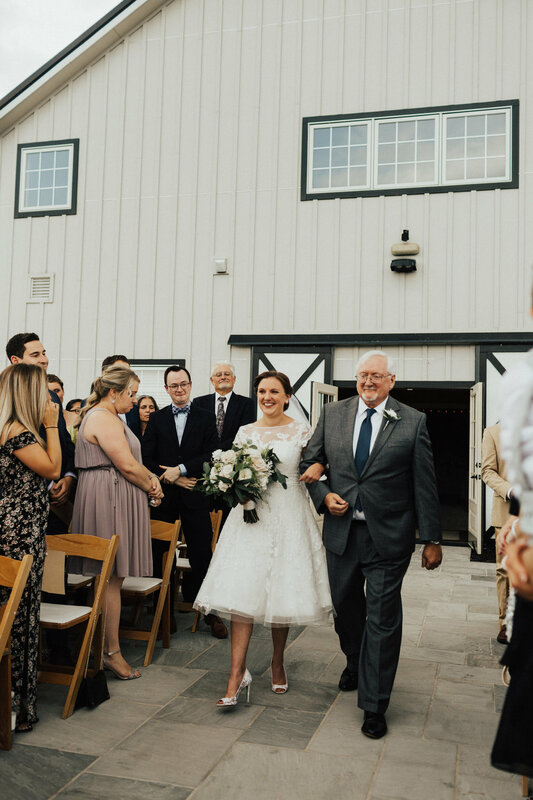 Erin and Mike had a July wedding at Shadow Creek in Purcellville, Virginia. It can be HOT here in July but this wedding had a cool retro vibe. My favorite detail was the girl's short dresses. So perfect for summer! The flowers had a natural, rustic feel. We used neutral colors and lots of textural elements like ferns, pennycress, and thistle. For the ceremony, we decked out the arch in flowers to enhance, but not overpower, the already amazing view. 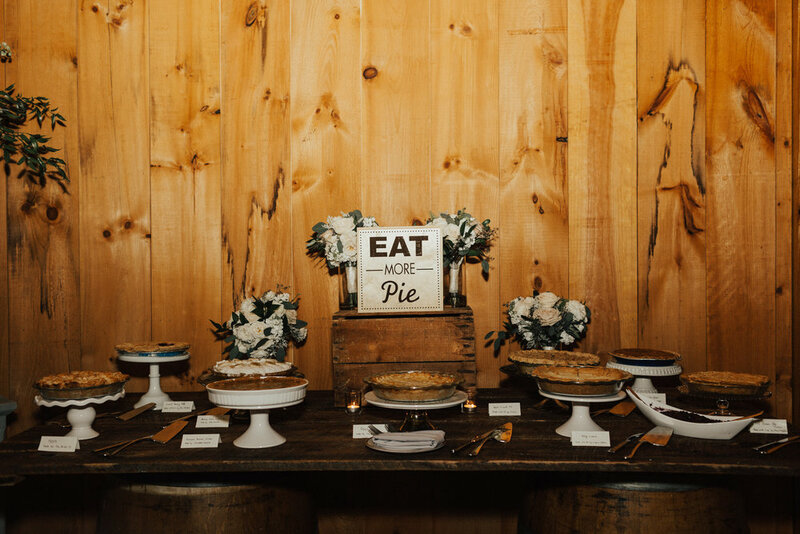 The reception was full of personal details like childhood pictures, a lively performance by the couple, a homemade pie bar for dessert, and packets of garden seeds for favors. So many of the photos show the bride and groom laughing. What could be a better way to start off your marriage and hopefully a lifetime full of belly laughs together!